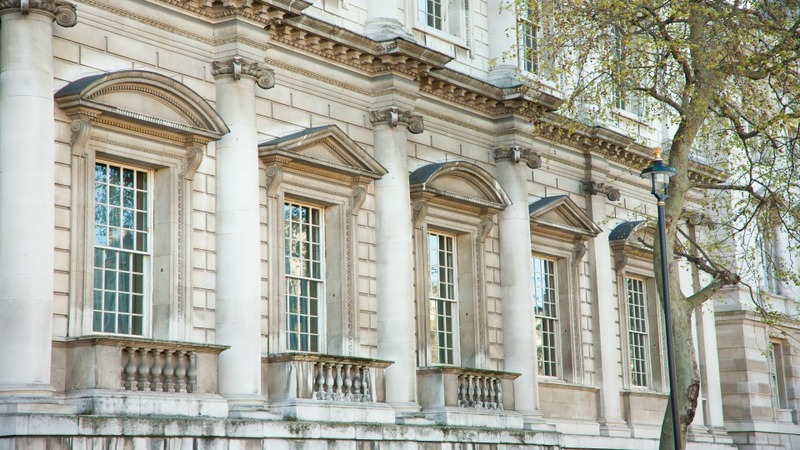 The Banqueting House is the last surviving remnant of the Palace of Whitehall, once the largest palace in all of Europe before it was destroyed by fire in the 17th century. Discover the architectural splendour of this building that was built for the sole purpose of royal leisure. 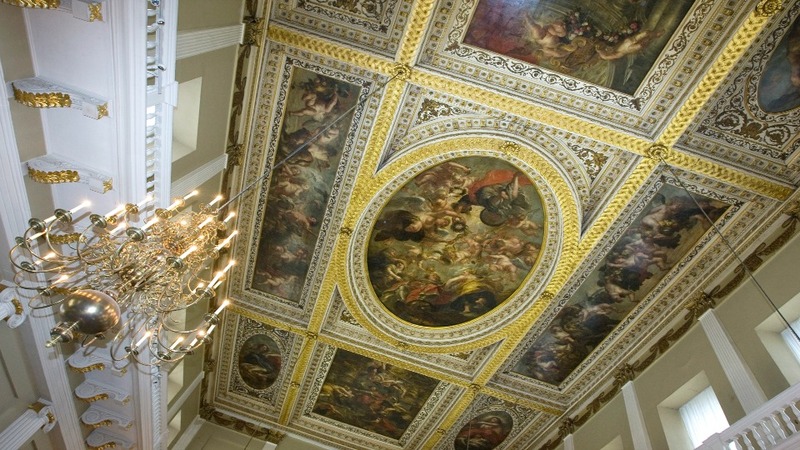 As you enter this remarkable building, your eyes will be drawn upwards by the pull of one of the masterpieces of the golden age of painting - a ceiling painted by the Flemish master Rubens. 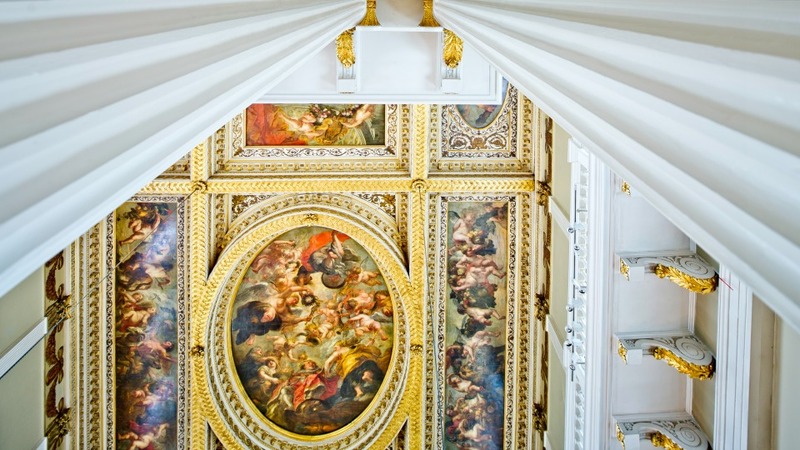 This remarkable artwork was one of the last sights of King Charles I, who lost his head on the scaffold outside and whose portrait can be seen above the grand staircase as you enter. 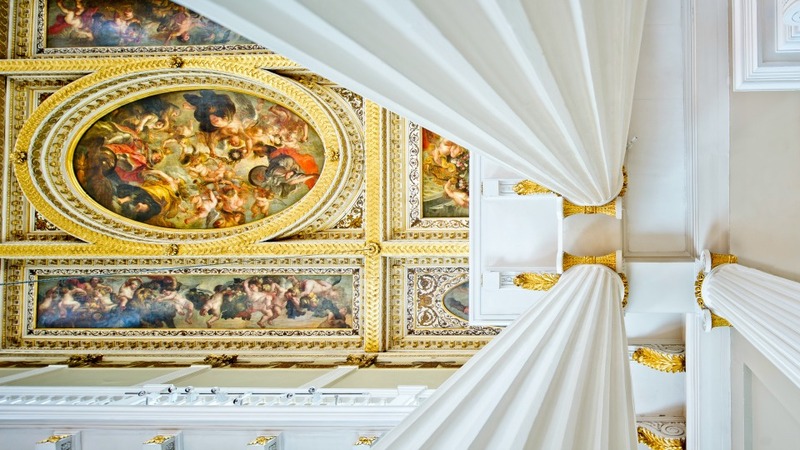 Admire the unique marriage of a refined Italian renaissance style with Palladianism as you take in the beautifully formed columns and balustrades, then descend into the vaulted Undercroft and explore the private drinking den of King James I. 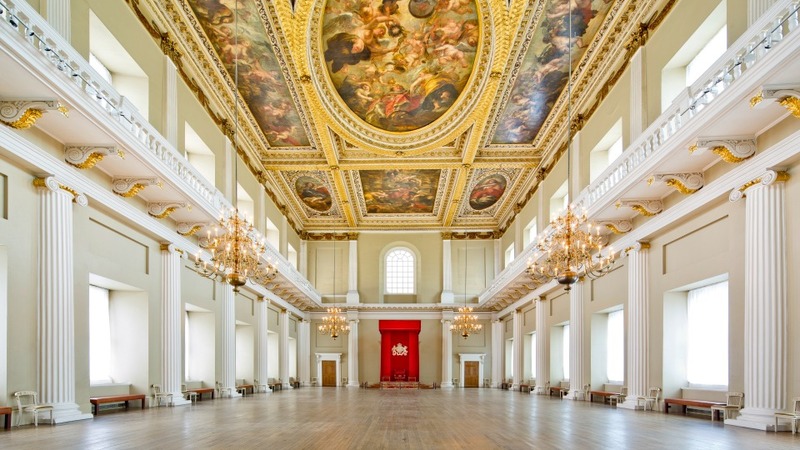 For centuries, the Banqueting House has been a hotbed of royal activity, and visitors are welcome to soak up this magnificent atmosphere. Open daily from 10am - 5pm. Last admission at 4:15pm. By London Underground: The closest stations are Westminster, Charing Cross and Embankment. From these stops it is about a 5 minute walk. By Bus: Bus lines 3, 11, 12, 24, 53, 87, 88, and 159 stop close by. By Train: The nearest train station is Charing Cross, and from here it's about a 5 minute walk.